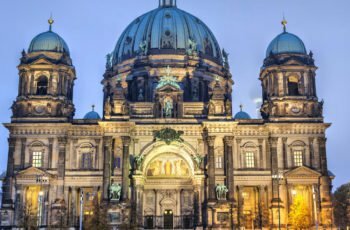 With culturally-rich cities, magnificent rural landscapes and a fascinating recent history, Germany has emerged from the turmoil of World War II and the Cold War as one of Europe’s premier tourist destinations. 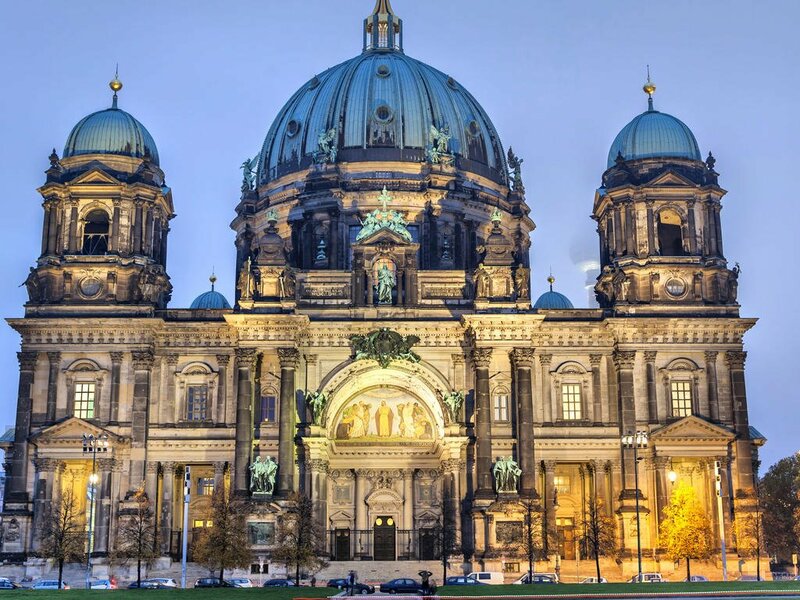 The capital Berlin is a vibrant center where the grandeur of the Brandenburg Gate stands alongside the graffitied remnants of the Berlin Wall. 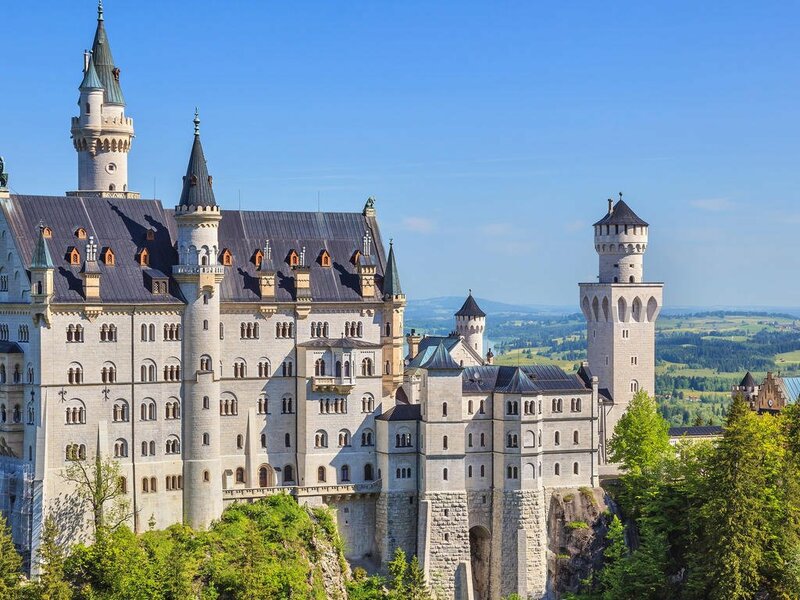 While Dresden’s Baroque architecture, Munich’s proud Bavarian roots, and the High Gothic architecture of the Cologne Cathedral all make for worthy visits. 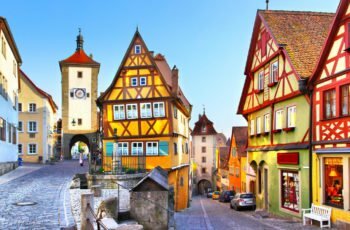 Outside of the bigger cities lie equally charming towns, including the former imperial city of Bamberg, the medieval center of Rothenburg and the historic spas of Baden-Baden. 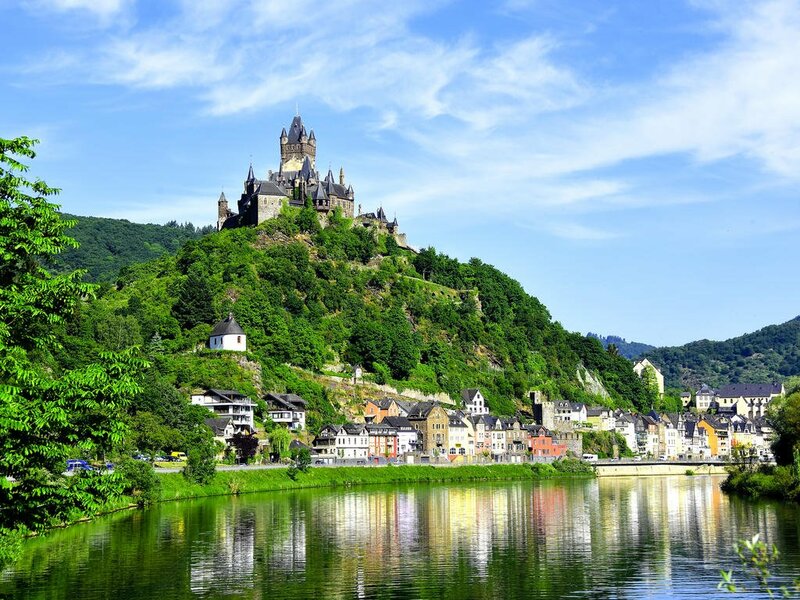 Travel between the royal castles and Rococo churches along the Romantic Road, or experience Germany’s natural beauty while wine tasting in the spectacular vineyards which cascade down toward the Mosel River. 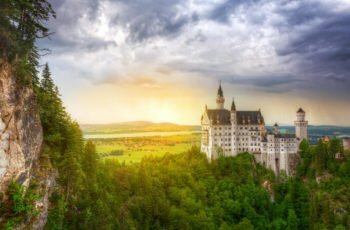 In the far southwest, you can hike through the fairytale setting of the Black Forest, while in the remote northeast lies the Baltic Island of Rügen, with its sandy beaches and dramatic peninsulas. 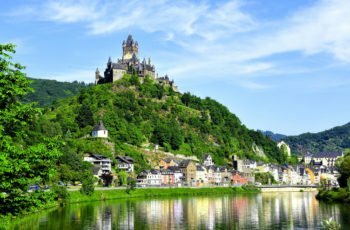 Or just step on board a luxury boat cruise to explore the mountainous lake scenery of Königssee or the majestic landscapes along the Rhine River. In Germany the power sockets are of type F. Electrical sockets (outlets) in Germany (Deutschland) usually supply electricity at between 220 and 240 volts AC. If you’re plugging in an appliance that was built for 220-240 volt electrical input, or an appliance that is compatible with multiple voltages, then an adapter is all you need. Banking hours are generally Mon-Fri 8:30am-1:00pm and 2:00pm-4:00pm, Thurs 8:30am-1:00pm and 2:30pm-5:30pm in main cities. Main branches do not close for lunch. Shopping in Germany is still very cash-based and you’ll need to have a supply of Euro notes and coins on you all the time. The banking system in Germany is a little different to the ones in English-speaking countries. Most purchases are made with cash. Checks (cheques) are virtually unknown and credit cards are mainly used for special transactions such as car hire. Travelers should bear this in mind and plan to carry some cash with them. Your hotel will very likely accept credit cards, but most shops and restaurants which don’t specifically cater to tourists won’t. Fortunately ATMs are ubiquitous in Germany but most are contained inside the bank itself, and outside of opening hours you’ll have to insert your card into a slot in the door to gain access. It’s very rare to find a “hole-in-the-wall” type of ATM directly on the street. Most ATMs accept credit cards such as Mastercard, American Express, Visa, Diners’ Club International as well as normal debit cards with Plus and Cirrus marks. 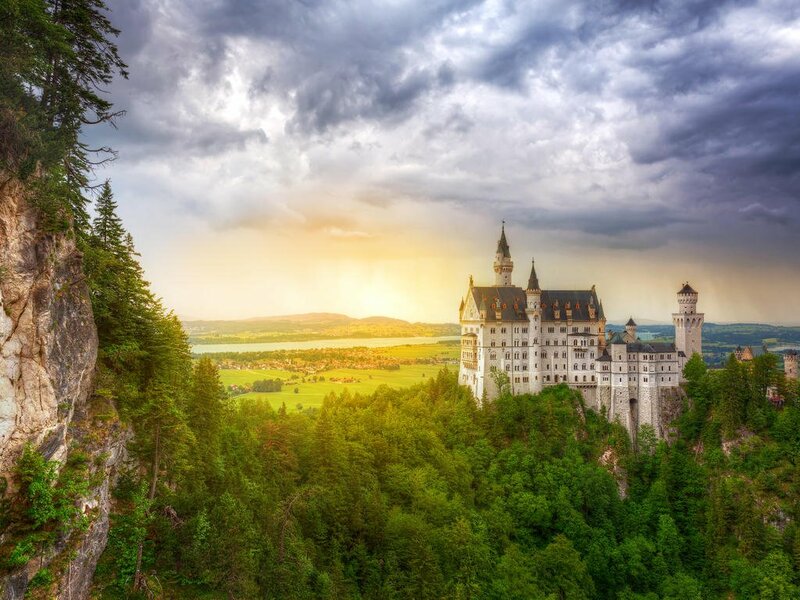 Germany uses the European monetary unit, the euro (€). Foreign currencies and traveller’s cheques can be exchanged at banks, bureaux de change, post offices, airports, railway stations, ports and major hotels at the official exchange rates. These are widely accepted in most shops, petrol stations, mid- to upmarket restaurants and hotels. All major credit cards are accepted, but it is advisable to carry cash as well. Tap water in Germany has a higher quality control standard and more frequent tests of the tap water than bottled water. The upper level of contaminants in tap water in Germany is lower than the permissible levels in bottled water. If you want to do yourself a favor, drink tap water and skip the bottles. Standards of hygiene, in relation to food health and safety in Germany,are generally high in hotels, restaurants, pubs and nightspots. Restaurants are subject to food safety control legislation, which is implemented by local government. Germans love meat and potatoes, and these ingredients are staples in almost every meal. While not world famous for its haute cuisine, German food is hearty and filling. Sausages, sausages, and more sausages. 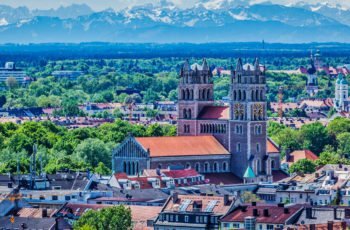 There are many must-eat meats in Germany, ranging from the Frankfurter, the Thüringer, the Nüremberger and the Weisswurst, to the bockwurst and currywurst, to name but a few. 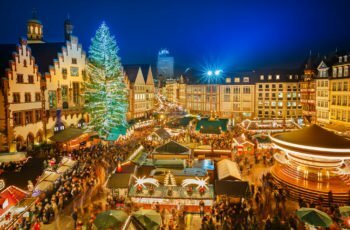 Visitors should note that most restaurants in Germany close around or before midnight, which means last call is taken around 10:00 or 11:00 p.m.
As with most European countries, Germany is a year-round destination but not especially dependable weather-wise. 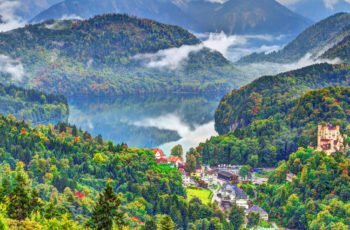 In general terms though, it’s a temperate country with warm summers and cold winters – prolonged periods of frost or snow are rare. 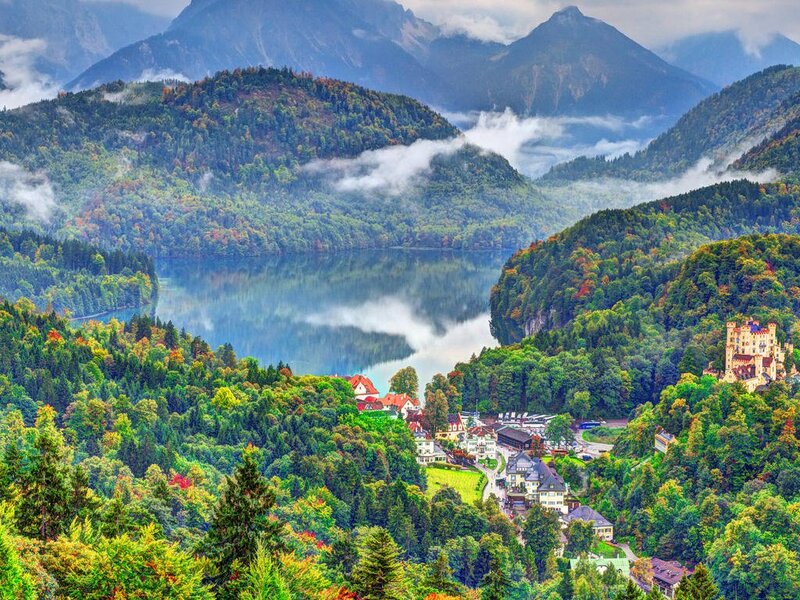 Rain falls throughout the year, with much of Germany experiencing its maximum rainfall over the high summer months. Unpredictability, then, is a major factor. The average January daytime temperature is 3°C (38°F) and in July is 22°C (72°F). Extremes commonly reach -10°C (5°F) in winter and 35°C (95°F) in the summer months. The highest annual temperatures tend to be in the southwest, where there’s almost a Mediterranean feel to the landscape at times. Unsurprisingly, this is where much of Germany’s wine is grown. May through to September are the most popular months in terms of tourist numbers, and certainly hold the most appeal for visitors aiming to spend significant periods of time outdoors. 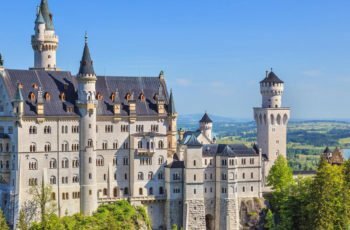 However, the spring and autumn shoulder seasons also hold real attraction for those who want the promise of decent(ish) weather without the tourist levels. 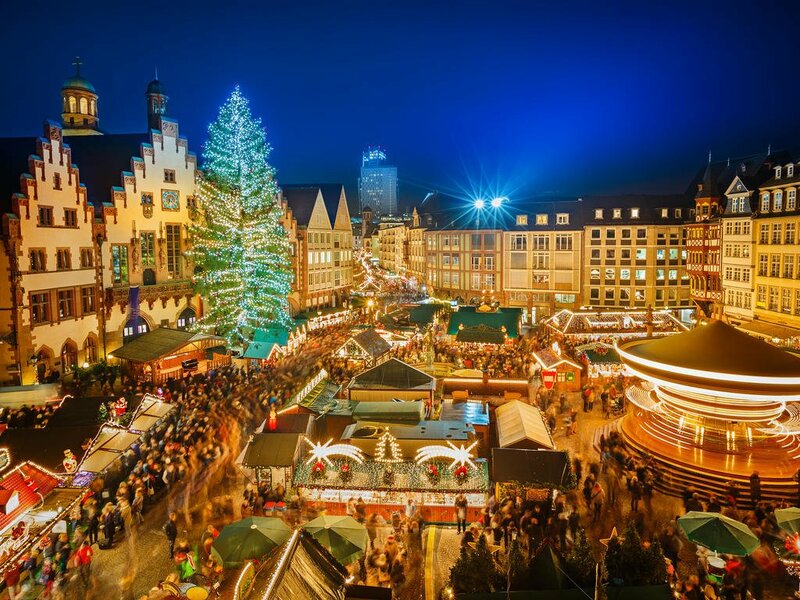 The winter holidays are also a big draw in their way, due in no small part to their attendant Christmas markets. Peak season for ski areas is from December through to the end of March. 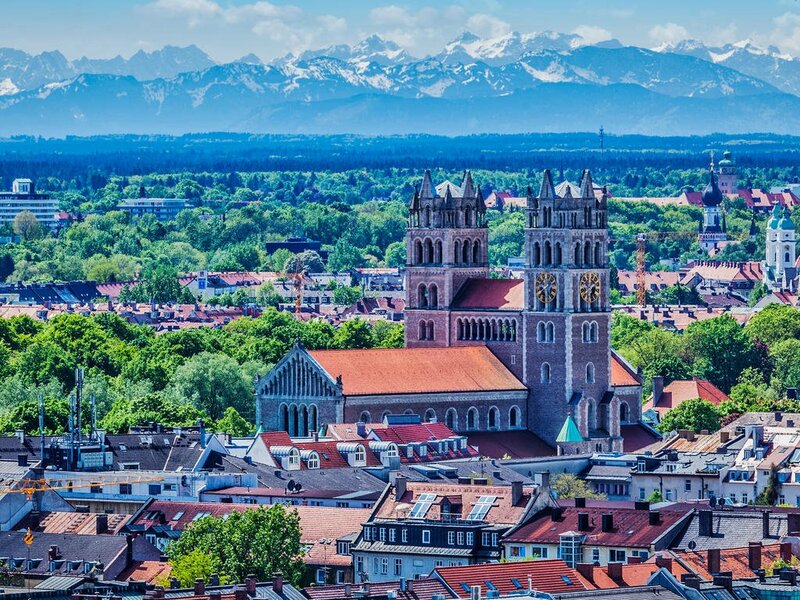 Away from the mountains, January through to April will appeal to those who enjoy the benefits of uncrowded attractions, although be aware that cities like Berlin rarely witness “slow” periods at any time of year. Prices tend to be slightly higher over the summer months. One other thing to bear in mind is that hotel rates can increase when large trade shows are in town. Internal services are operated by Lufthansa (www.lufthansa.com), Air Berlin (www.airberlin.com), Germanwings (www.germanwings.com) and several other regional airlines. 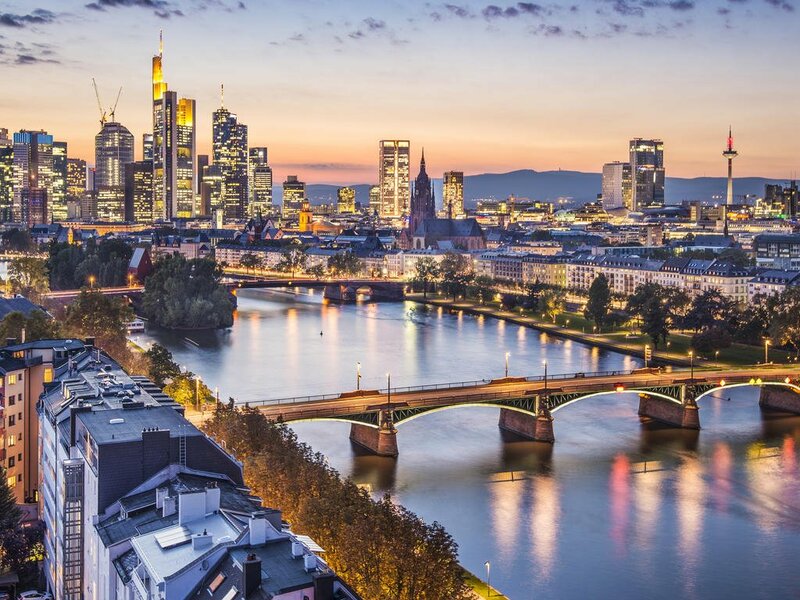 Frankfurt is the main air travel hub, and all other German airports can be reached in an hour or less from here. Given the breadth and general efficiency of the public transport network, however, internal flights should not be seen as essential. Their main benefit is to save time. 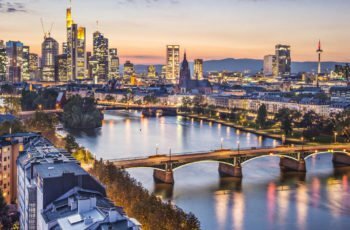 Germany’s cities and larger towns have efficient public-transport systems. Bigger cities integrate buses, trams, U-Bahn (underground, subway) trains and S-Bahn (suburban) trains into a single network. Driving in Germany is on the right hand side of the road. Light- to mediumweight clothing is recommended in summer while medium- to heavyweight clothing is advised in winter. If you’re intending to visit the mountains – and particularly if you’re planning a long-distance hike – it’s best to take waterproof gear and extra layers with you, no matter what the time of year. Germans dress quite formally and stylishly. Smart casual clothing will be appropriate for sightseeing and for eating out. Jeans are very popular especially with younger people. 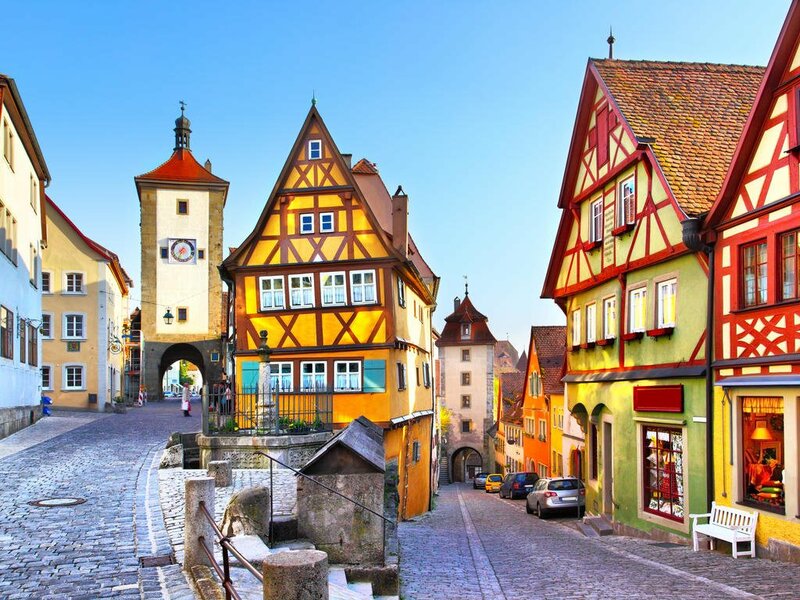 In many German towns there are cobbled streets, so it’s best to avoid high heels. Frequent changes of weather make forecasting difficult. To be on the safe side, be sure to bring a sweater and wet weather clothing with you no matter the season. Passports must be valid for at least 6 months beyond the intended departure date. Please ensure you have at least two blank visa pages (not endorsement pages) in your passport. German is the official language. Regional dialects often differ markedly from standard German. Minority languages include Danish and Sorbic, while some English and French is also spoken. The Germany emergency number is 112. Germany is on UTC/GMT time and is 11 hours ahead of USA Eastern Time Zone. • A Service Charge of x % will apply” – this means what it says, your final bill will be subject to an additional charge; no further tips are necessary. • “Service included” – this means that the prices are a flat rate, no tips are required and the prices are final. Again if the server has been attentive a €5 or €10 left on the table will always be appreciated. Service is always included and in general no tips are expected but they are welcome nonetheless. For excellent or unusual services a few Euros (the classic “fiver”, a €5 note) are appropriate left for the housemaid or the porter who brings your bags up.